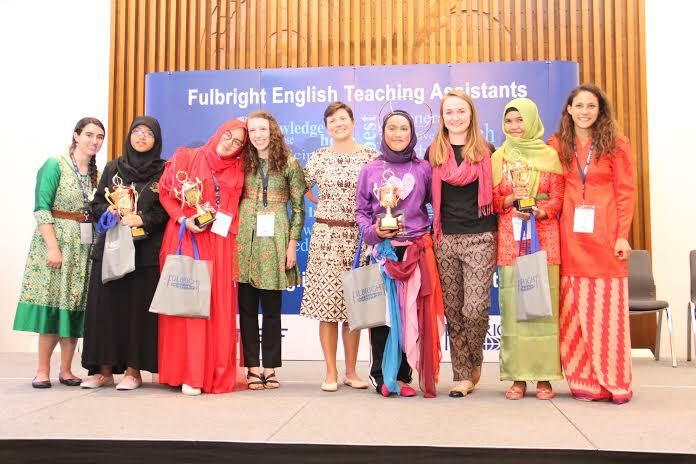 On Saturday, April 25th, thirty-five high school students from across Indonesia and their Fulbright English Teaching Assistants (ETAs) gathered in Jakarta, to take part in the annual WORDS Speech Competition. Later, when students were asked to describe their experience at WORDS in one word, their responses were as varied and insightful as they are themselves. The morning of the competition, nerves were high for many of the participants. Wiwin, from Banjarmasin in South Kalimantan, said later that she was, “Nervous and I had big worries if just one mistake would destroy everything.” But when Wiwin stepped onto the stage to deliver her speech warning against the power of money, no one in the audience could tell she was nervous and she, like her fellow participants, amazed everyone with her words. And what powerful words they were. The theme of this year’s WORDS Competition was “Message in a Bottle.” Students interpreted the theme in a variety of ways. Some students spoke about their hometowns, and what makes them unique. Some talked about friends, or family members, and what those people mean to them. Some talked about the environment, gender roles, why it is important to be yourself, or the ways young people can impact their world. In addition to their speeches, many students also performed a talent: they sang, danced, performed both traditional and contemporary puppetry, presented comedy sketches, and one memorable young man even mixed music on the spot. 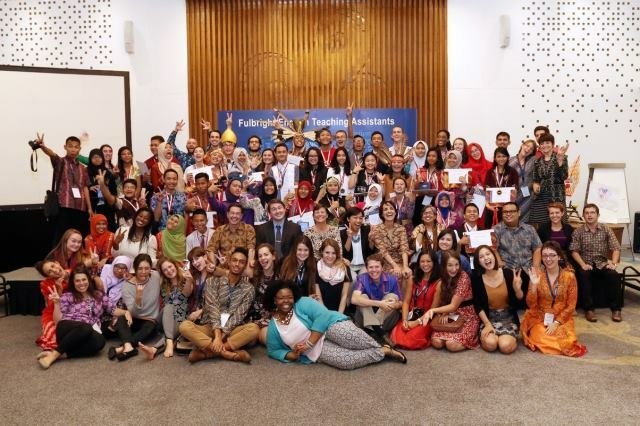 Raja Yasmin, one of the participants, said one of the best parts of WORDS was that “you can see the diversity of Indonesia’s Incredible talents.” Varied though their interpretations of the theme were, there was one consistent quality in all of the performances: they were incredible. 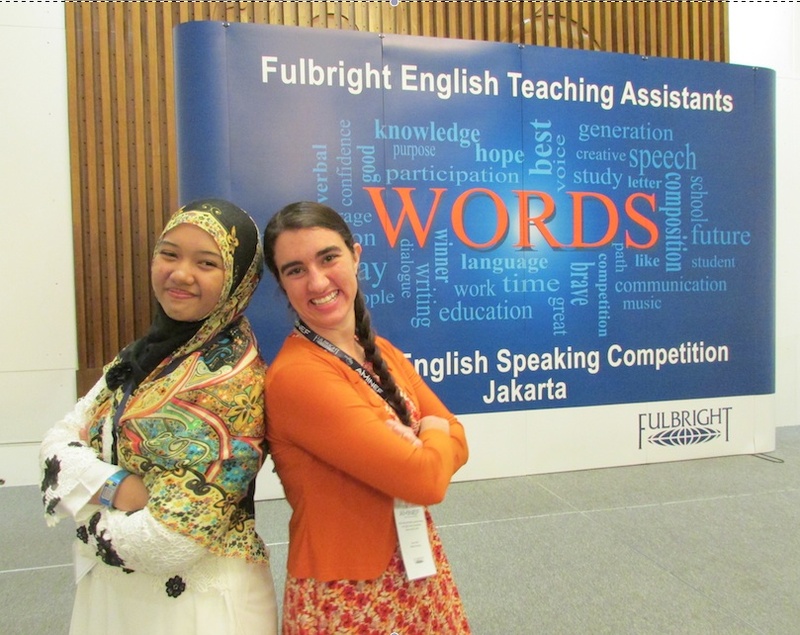 The Overall Winner for this year’s WORDS Competition was Maghfira, or Afi to those who are blessed to know her, from Malang, East Java. Even she was not able to escape the edginess that all the participants felt: “I felt nervous,” she said later, “I felt nervous because I’ve always been a writer, not a speaker. I felt nervous because I had an important message to convey.” Afi’s speech was about a childhood friend with Autism, who had passed away barely a week before her school’s local WORDS competition. Her speech, “Another Set of Wings,” performed as a letter to her friend, was a tribute to his life, and all he had taught her: “You taught me to see people, in all of their cracked perfections; to cherish the life we have; to know that there is hope in every corner; and, most importantly, to love myself, and others, unconditionally.” Preparing for and attending the WORDS competition not only challenged Afi in speaking and presenting; it was an emotional journey as well. But Afi believed in the importance of her message, and it was this belief that helped her to get through the most difficult parts of her speech: “I kept in mind the reason I was on that stage: to convey a message that people with autism are people first. … I didn’t care about winning. I didn’t care about trophies or medals or awards. I just wanted my voice to be heard, and my message loud and clear.” Afi left many in the room, including her proud ETA, in tears twice, her message heard in the hearts of those present. In addition to the overall winner, three other participants were given prizes according to different categories. 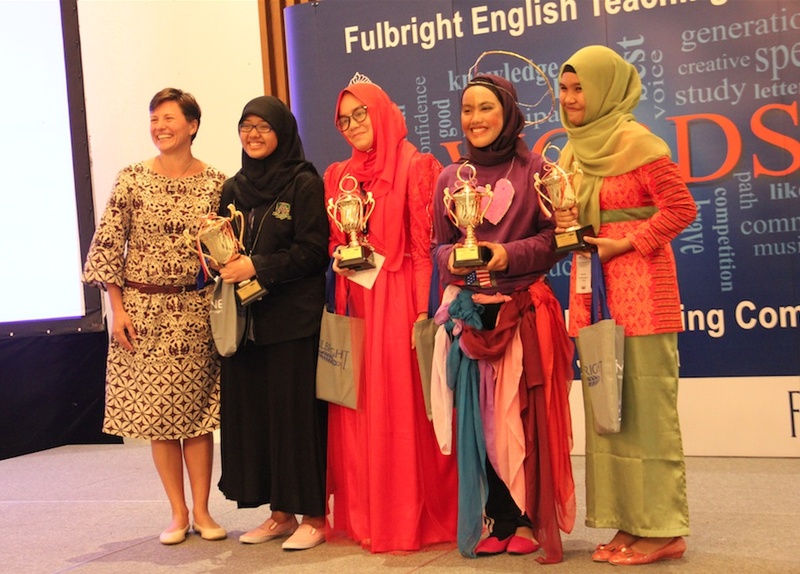 Raja Yasmin, from Pekanbaru in Riau, Sumatra, was awarded Best Use of English for her speech “Be a Rebel,” in which she challenged the audience to rebel against the hate they see in the word: “because we are more than chains that bind us. We are intelligence. We are kindness. We are compassion.” With a perfect British accent and a rap at the end of her speech, there is no denying she deserved it. Deasy, also from Pekanbaru was awarded Best Talent for her speech “Don’t Judge a Book by its Cover.” With a rainbow of scarves about her waste, a wire halo atop her head, Deasy danced, sang, and even painted as she asked the audience to think twice before judging someone based on their appearance. Whether they were selected as winners or not, all of the WORDS participants gave magnificent speeches, which those fortunate enough to be present will remember for years to come. But WORDS was not merely a speech competition. 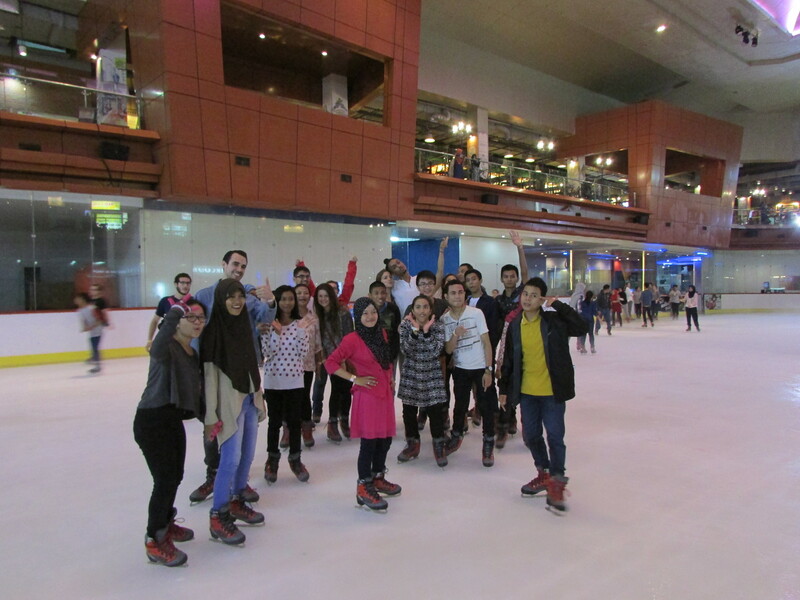 The students were in the capital for an entire weekend, and they were able to share a number of experiences with one another, and with the entire cohort of ETAs. 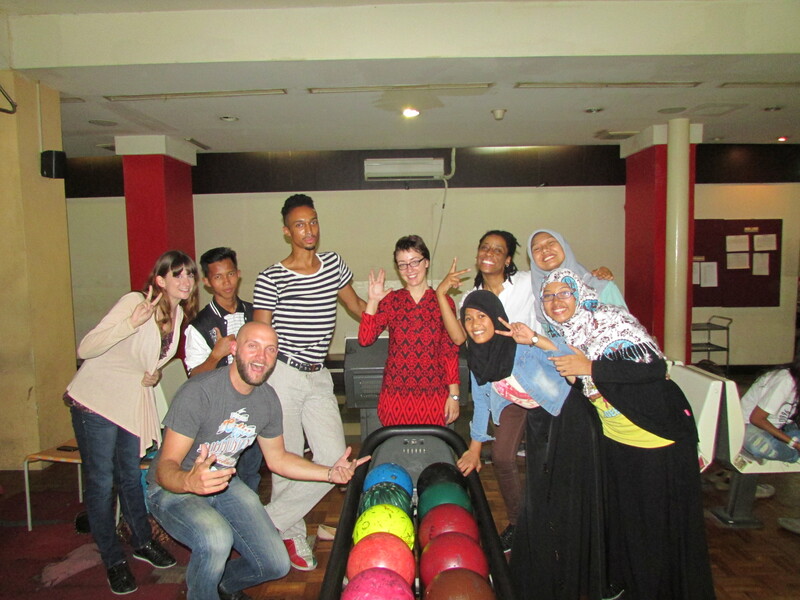 ETAs and students went bowling and ice skating together, and the students had a day-long tour of Jakarta together, during which they visited a number of museums and Monas, the Indonesian National Monument. For many students, this was the best part of the weekend, not delivering their speeches, amazing though they were. 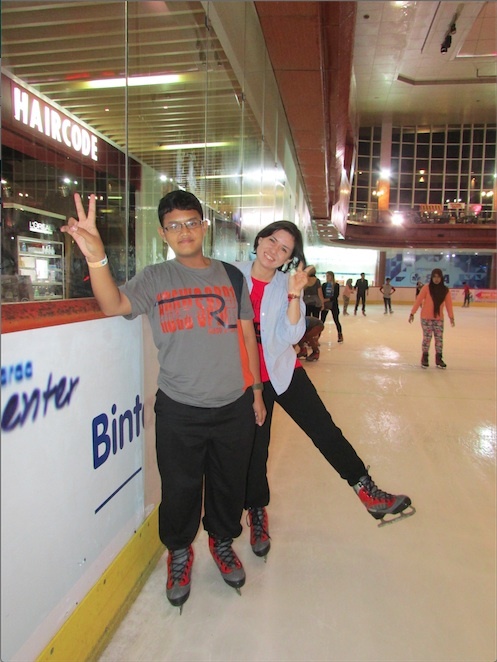 Dimas, from Malang, East Java, said “My favorite part is when my friends and I went on the fantastic tours, played together, and watched everyone’s speech.” For Raisa, from Manado, North Sulawesi, “My favourite part when I meet new friends and the others ETA. So we can shared our own story together.” And what a story WORDS was.